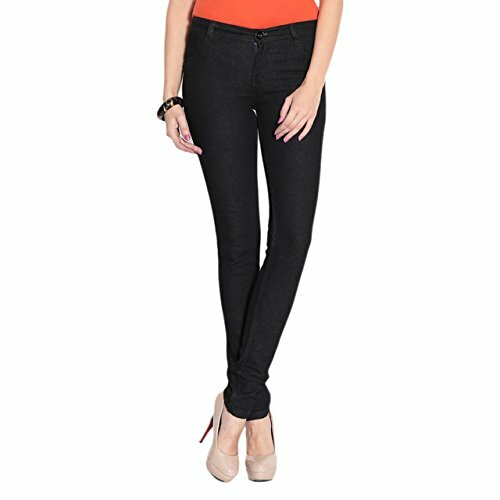 Hit the streets in style wearing these black coloured jeans from the house of Ganga,this jeans for women are quite comfortable to wear and long-lasting as well. Offering an amazing fit, these jeans will become your instant favourite. 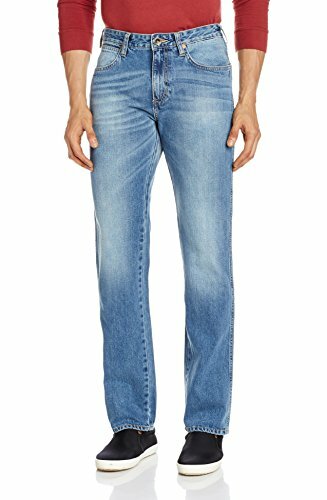 Stretchable slimfit men’s jeans for day to day use. 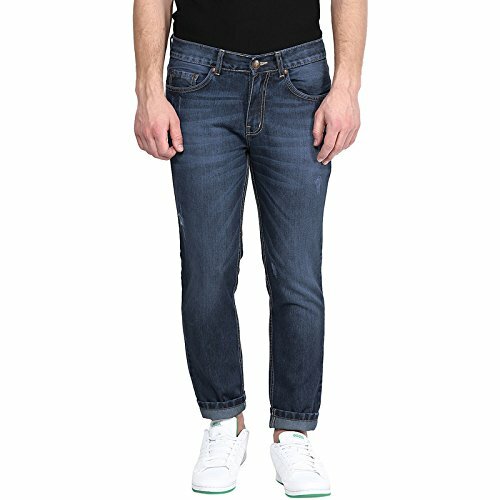 This pair of jeans will give you a stylish look. To complete the look, team it up with a casual shirt or a T-shirt. 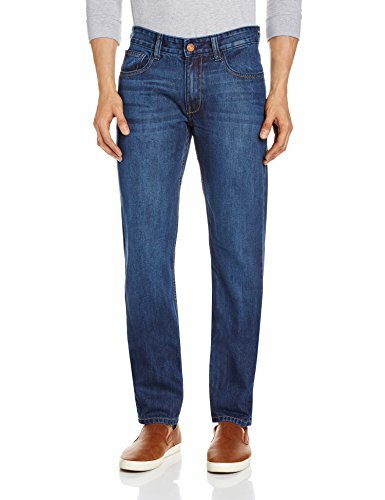 This jeans are among the must have essentials of your wardrobe. These trousers for men are made from cotton, it comes with a zip closure type. Slim fit and regular waist style adds to the casual appeal. Featuring one of our most popular Denim wash, our Straight-Fit Jeans is hand-sanded for contrasting whiskers, sprayed and light tinted. Made from medium weight 12 oz. left-hand twill, this style is designed with a modern low rise and Straight leg openings. 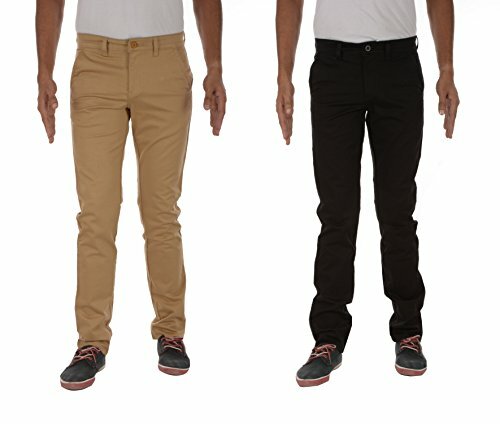 London jeans co. Dnmx presents chinos for men in black and khaki colour. This chinos are made of cotton material. It has a zip closure with slim leg style. It is a slim fit chinos which is best suited as a casual wear. 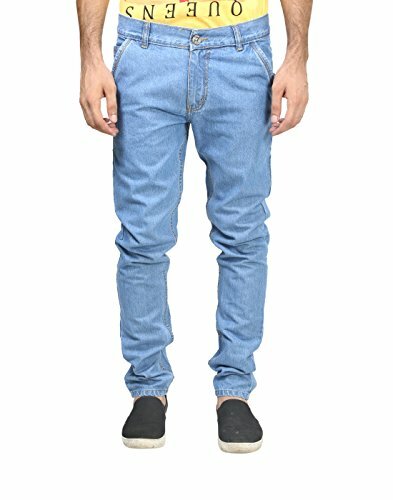 London Jeans Co. DNMX presents men’s cotton blue colour slim fit jeans. 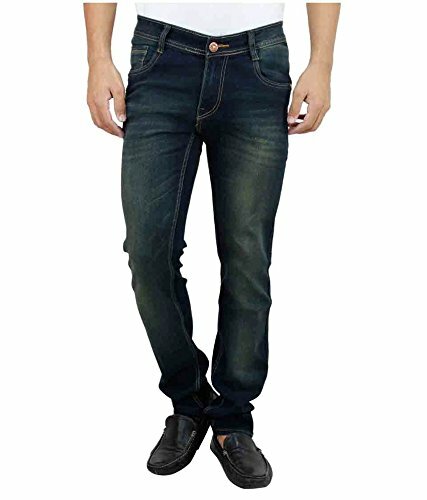 This jeans has regular waist style and can be worn for casual occasion.